Can there be such a thing as an impossible human language? A biologist could describe an impossible animal as one that goes against the physical laws of nature (entropy, for example, or gravity). Are there any such laws that constrain languages? 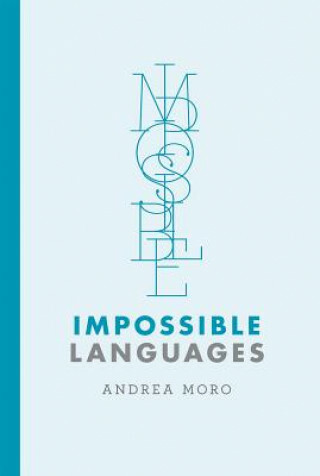 In this book, Andrea Moroża distinguished linguist and neuroscientistżinvestigates the possibility of impossible languages, searching, as he does so, for the indelible "fingerprintż of human language. Moro shows how the very notion of impossible languages has helped shape research on the ultimate aim of linguistics: to define the class of possible human languages. He takes us beyond the boundaries of Babel, to the set of properties that, despite appearances, all languages share, and explores the sources of that order, drawing on scientific experiments he himself helped design. Moro compares syntax to the reverse side of a tapestry revealing a hidden and apparently intricate structure. He describes the brain as a sieve, considers the reality of (linguistic) trees, and listens for the sound of thought by recording electrical activity in the brain. Words and sentences, he tells us, are like symphonies and constellations: they have no content of their own; they exist because we listen to them and look at them. We are part of the data.